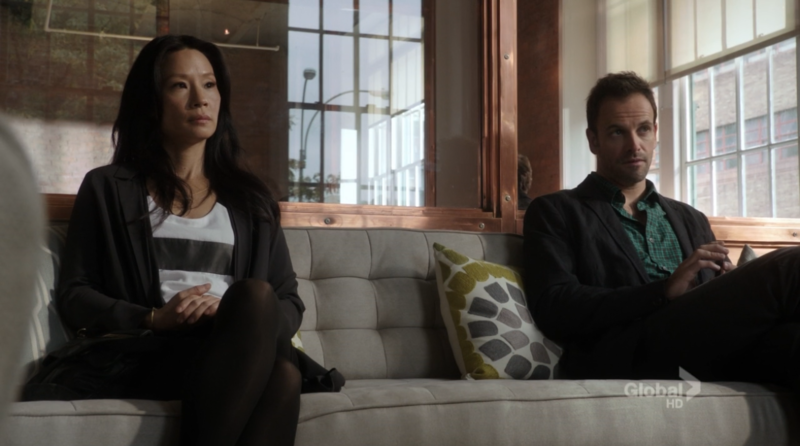 I thoroughly enjoyed the first season of Elementary starring Johnny Lee Miller (Hackers) and Lucy Liu. However, the rather early dénouement of the Moriarty/Irene Adler storyline left a slight bitter aftertaste. I was thus not looking forward to hearing anything about during season 2. 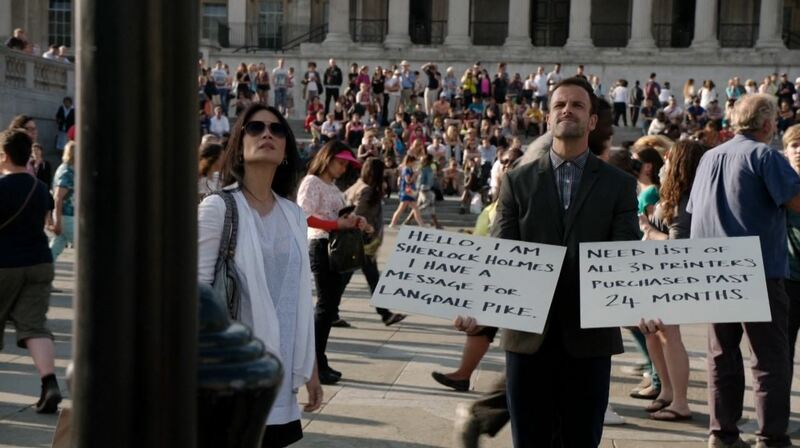 Luckily the first episode primarily takes part in London and makes for a very refreshing start to the new season. It’s quite invigorating if I may take a line from Sherlock. ‘Step Nine’ starts with Holmes and Watson solving a case in which the mafia uses carrier pigeons to communicate with a hitman who has murdered several District Attorney’s. Holmes solves the case in minutes but does have to rely on Jane Watson new personal defense skills to take down the killer. Sherlock meanwhile gets a phone call from London. 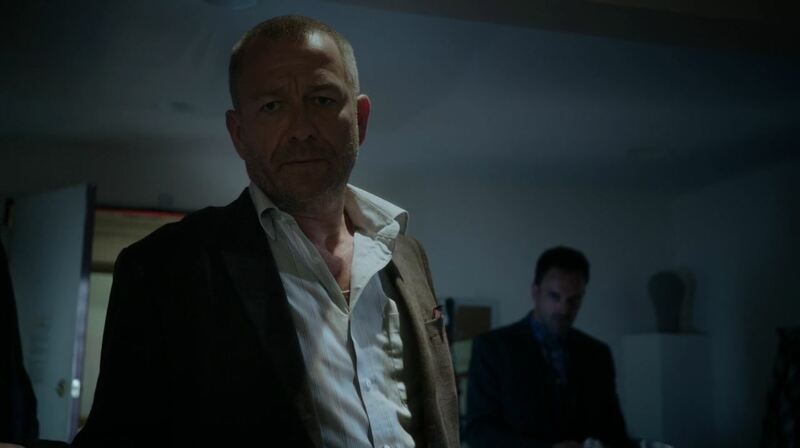 One of his old colleagues at the Metropolitan Police wants help to find another colleague, inspector Lestrade (Sean Pertwee). 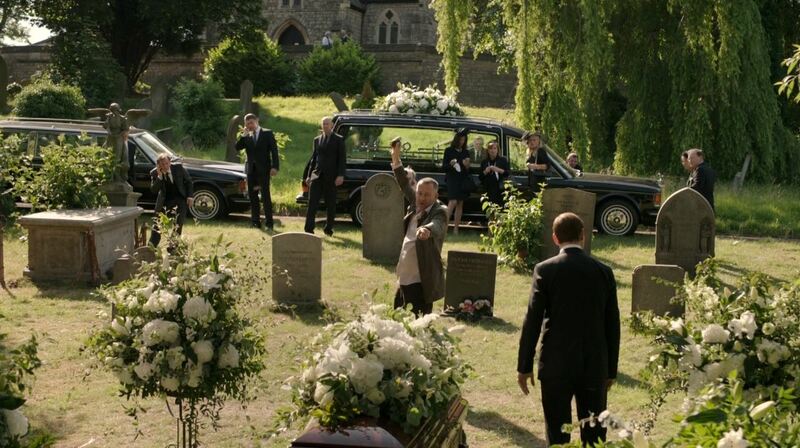 Lestrade has disappeared after he threatened a suspect at the funeral of his father with a hand grenade. Lestrade accused him of murdering his wife and using his father media empire to stall the investigation. Sherlock locates Lestrade rather easily and the two quickly follow the slim leads of the murder. 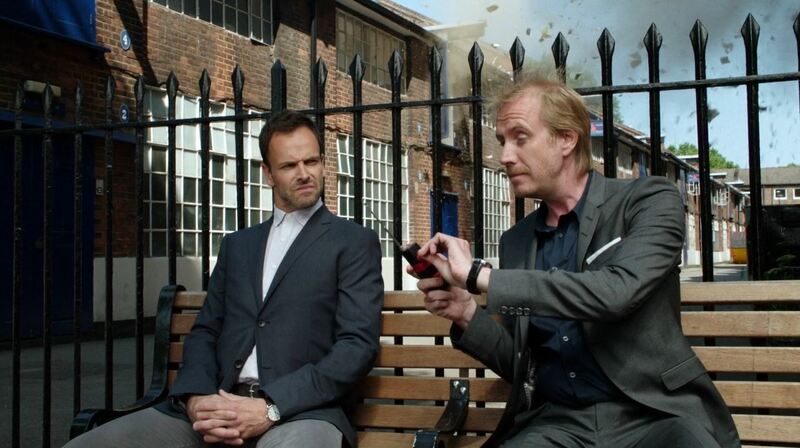 Sherlock and Watson are also confronted with Sherlock’s brother Mycroft played by Rhys Ifans (Notting Hill). The two have barely spoken since Sherlock slept with his brother’s fiancé. What follows is a cat and mouse game between two brothers that certainly deserves a rematch. Sherlock saying to Watson that she wants to sleep with him but can’t and thus needs to make do with a cheap imitation knock-off (Mycroft) was banter I haven’t heard in some time. It almost felt as if Lucy Liu didn’t see that coming either. The denouement of the murder investigation and history between Lestrade and Sherlock also doesn’t disappoint. The character Lestrade ended the episode barely any better off than he was at the beginning so I have no doubt we will see him again confronted by Sherlock’s genius in an ugly way. The episode ends with Watson giving Mycroft advice about how to approach Sherlock. He takes her advice but adds a twist. Mycroft avenges himself on Holmes by blowing up his belongings that he had kept in a self-storage unit. Mycroft states that among Sherlock’s belongings he found one shrunken head, a Picasso and books on bomb-making. As Watson and Sherlock are waiting for their train to Heathrow he mentions that he has managed to connect to his brother. Were blessed the Irene Adler storyline didn’t come up. Sure I want to see some more villainous glory from Natalie Dormer but not right now. Step Nine pretty much delivers on everything we like about Elementary even if the main murder plot is just a tad thin, but that could be because of the running time. Sherlock has made some subtle improvements to his condition since the start of season 1, so I wonder if there is another Sherlock Holmes in Elementary that isn’t obsessed about drug addiction. The change in location was very welcome for one episode. I doubt we will see it used often but more such refreshing steps away from the otherwise procedural aspects will be welcomed. 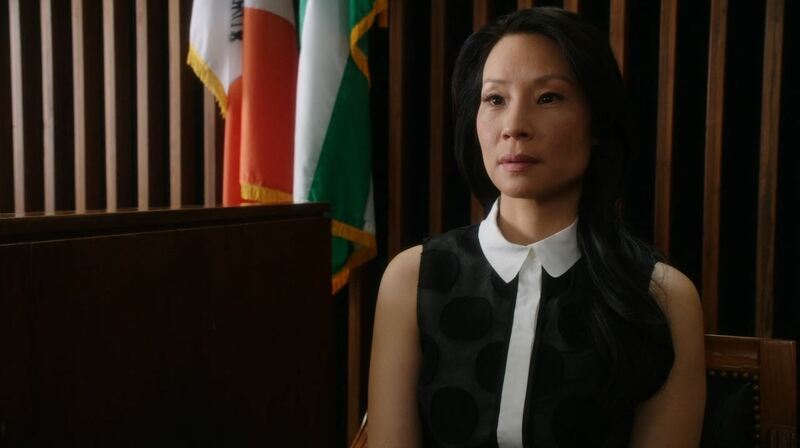 The episode is remarkable for the fashion sense of Lucy Liu’s character. The thigh high dresses and skirt without the black pantyhose are a refreshing change. Some might say its a bit over the top but we will have to see if. If you want to see and talk more about the fashion of Lucy Liu as Joan Watson then click on the following link (right here). Score; 9 / 10. A near perfect 45 minutes that ends with a bang I really wasn’t expecting. The residence where Sherlocks brother was look like the same as Notting Hill residence, yes…. Previous story Agents of SHIELD ‘Pilot’ Review!